PHUKET: Yesterday (April 23) saw the start of witness hearings in the criminal cases brought against the owners and management of the Tiger Disco in Patong's Bangla Rd, which burned down on August 16, 2012. Two foreigners and two Thais died in the blaze on August 16 2012. The fire (story here), fueled by plastic foam decorations on the club walls and ceiling, left two tourists and two Thai people dead. Hearings were also scheduled for today (April 24) and Tuesday, Wednesday and Thursday (April 28, 29, and 30) next week. 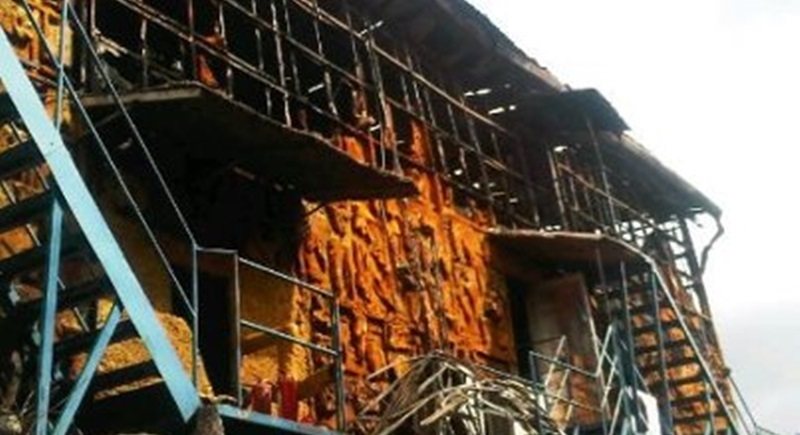 The prosecutors in the case are pressing for conviction on charges of causing death by negligence against the Tiger Group̕s Managing Director, Piya Isaramalai, and Sara Entertainment Co, the operators of Tiger Discotheque at the time of the fire, on allegations that the four deaths were the result of excessive use of flammable decor in the disco and a short circuit in the disco's electrical system. However, the defence has consistently countered that the fire was the result of a lightning strike. The negligence charge carries a maximum penalty in Thai law of 10 years in prison and/or a fine of up to B20,000. The hearing for the defence team has been set for May 11. Meanwhile, The Phuket News has learned that the prosecutor for the case has changed, with Patthira Phumisutthaphol taking over from Vivath Kitjurak. For other news relating to this story see here, here and here.